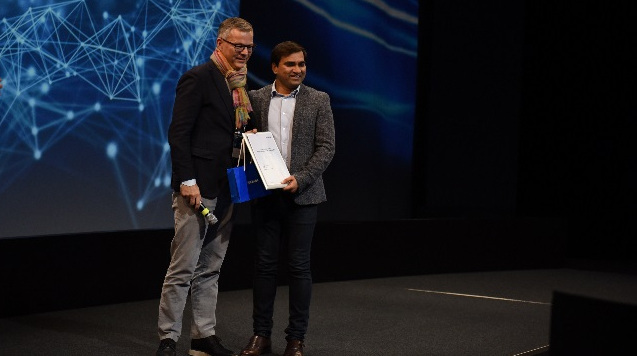 Ten innovative startups gathered in a slushy and cool Helsinki at the end of November at the 2017 Nokia Open Innovation Challenge finalist event. They came to pitch concepts, products and business ideas targeting IoT markets in transportation, smart cities, safety and security, and connected industries. 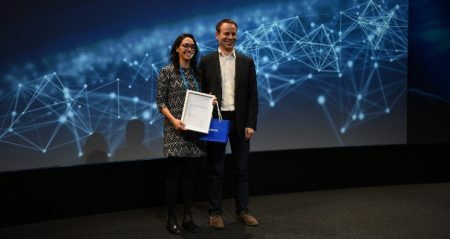 The annual event is held in partnership with NGP Capital, and in its fifth iteration the competition drew a record of more than 400 entrants. Winners will have the opportunity to explore co-innovation and joint business opportunities with us, and gain access to Nokia’s global market, technologies, products and resources, and potential investment opportunities. With our aim of enabling a smart, safe and sustainable world, it’s a great time to be partnering with Nokia. Sensing technology is becoming more integrated into daily life, with connected health devices going beyond doctor’s offices and hospitals, and into our homes and onto our bodies. We can now view a brain surgery live using mixed reality, virtual and augmented reality. Augmented intelligence, automation will continue to increase, giving us new ways to manage resources, urban planning and enable people to live more fulfilling lives, focused on the uses of time and what make us most human. We create the technology to connect the world, and the networks of today, tomorrow and beyond present endless possibilities to radically enhance the human experience. Realizing the full potential will mean not only innovating inside our business but doing our part to enable a robust ecosystem of startups and inventors who see what’s possible and can work together with us to make it a reality. The entrants in this year’s challenge presented a broad spectrum of innovative thinking, and we were thrilled to spend two days at our headquarters in Finland in workshops with the 10 finalists and judging the final pitching competition. This year’s winner hails from the U.K. – Continuum Technologies. They impressed the judges with their highly innovative approach in applying nano-sensing technology directly into wearable fabrics, and for a specific use case, namely athletic performance. Their goal is for this unobtrusive real-time monitoring to generate insights that can be used to enhance performance over time, enable faster recovery, reduce injuries and deliver smarter tracking. It will be exciting to partner with Continuum as they further evolve the concept and move to the prototype stage. There are a range of applications for the concept that go beyond athletics, such as broader healthcare, or industrial use cases that require human effort, for example. The investor’s choice award – and also the audience choice award – went to Snaptivity, also from the U.K. Snaptivity focuses on a specific use case that happens at virtually every sporting event attended by large groups of spectators: how to capture the raw emotion of the crowds naturally, at the right moment, so that stadiums, brands and teams can engage with fans by sharing these most human moments. 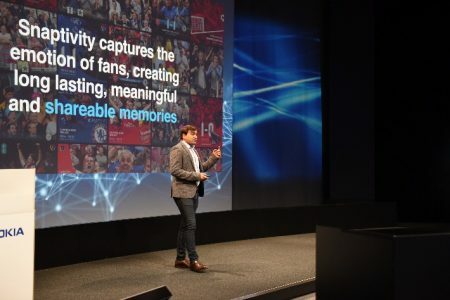 Snaptivity’s solution relies on a network of cameras placed throughout a stadium, applying sensing, predictive modeling and automation to capture crowd reactions. It’s already deployed in numerous arenas with a proven business case in a growing market. There are opportunities for them to expand into more stadiums, adding more cameras, more automation and expanded use of intelligent software, to further enhance the fan experience. You can read up on the other finalists in our press release. At Nokia, innovation is happening inside and out – if you have an idea to help enable a smarter, safer and more sustainable world, join us at the next Open Innovation Challenge!